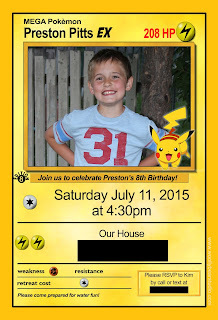 We of course had a Pokemon themed party. Because he's obsessed this year. Not going to lie, I was not excited at all. 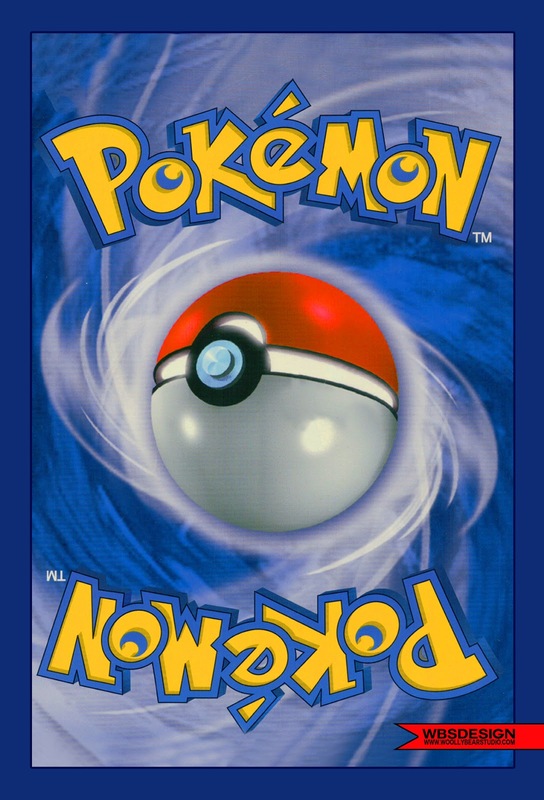 Pokemon just screamed lame to me. BUT I think this might have been one of my favorite themes ever! I mean look at the invites! They were front and back. Best invites EVER! 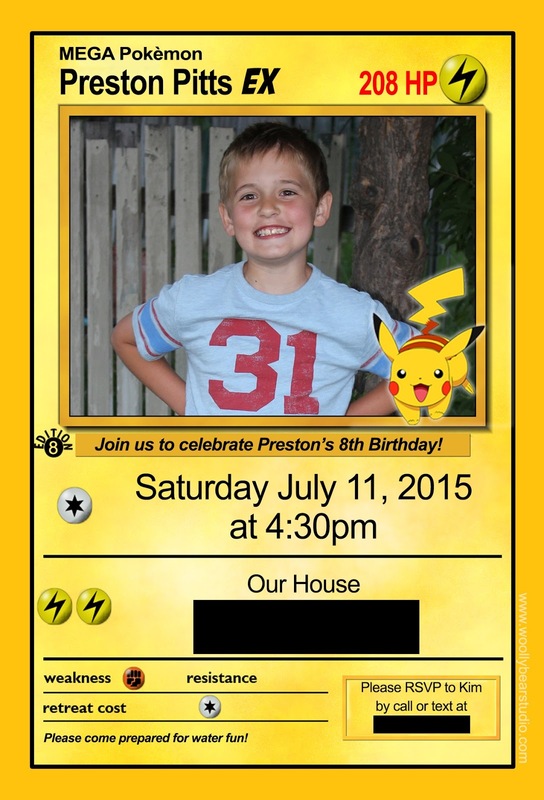 Seriously all of the kids just loved them and couldn't get over Preston being on a Pokemon card! Olivia had to be supervised around the cake. She kept trying to sneak into it. She's crazed around cake I tell you! The pokeballs! So simple to make. Partly because Brad's brain works totally different than mine and he made it so we could spray paint them in two sets instead of one by one. Cake, party bags, and gifts! My big eight year old Pokemon boy! The pool is always a hit! We BBQ'd. Hung out. The kids swam. And raced around like crazy people. Then time for presents! The party theme was definitely also the present theme! So many Pokemon things and Preston was so pumped about it! I loved watching all of his expressions as he opened gifts! Cake anyone? Poor Preston had to protect his candles from his little sister! She finally got her cake! Some after the party pics! Zack got to spend the night and they were all pumped up and excited! We mad a bed of pillows and blankets in the living room and watched Jurassic World! Rawr! I finally had to sit on the floor and turn the lights off to get these two to go to sleep! Birthday fun continued the next morning when I realized I had forgotten to pull out the gift from Aunt Jen and Madison! Enjoying all the new stuff! Happy Birthday Preston! And thanks to everyone who celebrated with us! We had so much fun! What a party! And truly amazing cake. My sister organized a sober kitty party at one of the budgeted venues in Los Angeles last week. Luncheon was amazing and gifts given to game winners were of high quality. Everything was ordered online to save time. Cup cakes were baked at home by mommy.